Maria Teresa Mestre y Batista was born in Havana, Cuba, on March 22, 1956. She left Cuba with her family at the onset of the Cuban Revolution and moved to New York City. They would move again to Spain and before finally settling in Spain. She met Grand Duke Henri of Luxembourg while attending the Graduate Institute of International Studies at the University of Geneva. They announced their engagement on November 8, 1980, and later married on Valentine's Day 1981. They now have five children: Hereditary Grand Duke Guillaume, Prince Félix, Prince Louis, Princess Alexandra and Prince Sébastien. They also have four grandchildren: Prince Noah and Prince Gabriel (children of Prince Louis and Princess Tessy) and Princess Amalia and Prince Liam (children of Prince Félix and Princess Claire). 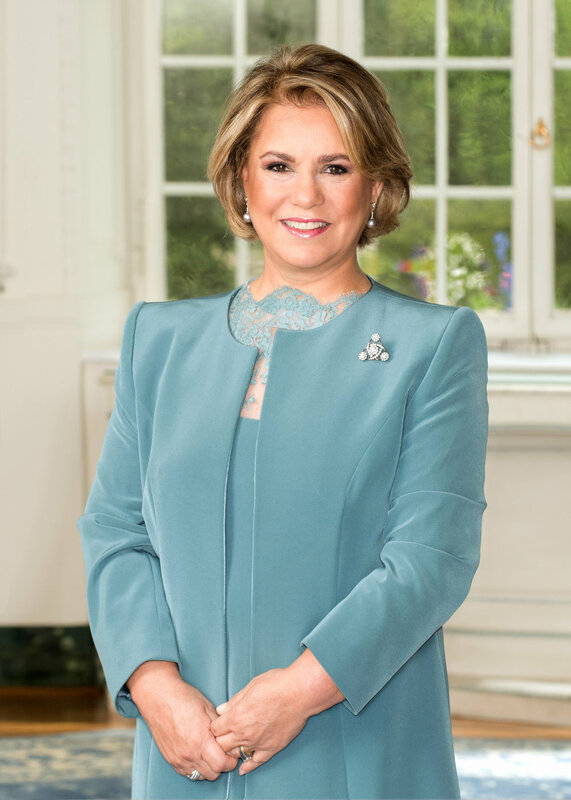 Want to read more about Grand Duchess Maria-Teresa? Check out these blogs!